Its territories are already deprived and now the occupied West Bank and Gaza look set for even more hardship. The US has confirmed it stopped all aid to Palestinians in the region, in a move linked to new anti-terrorism legislation. The deadline also sees the end of about 52 million euros in U.S. aid for the Palestinian security forces, whose cooperation with Israeli forces helps maintain relative quiet in the West Bank. "This project has ended up affecting us in a very negative way, " says Theiab Mshahlah, president of Jaba village council. "We were very optimistic at the start, but now, we are very depressed. Students now have no place to go, and must travel to another school, seven kilometres away. But the road to that school is closed by the occupation, so students have to walk to get there." The decision was linked to a Jan. 31 deadline set by new U.S. legislation under which foreign aid recipients would be more exposed to anti-terrorism lawsuits. The halt was requested by the Palestinian Authority over worries about its potential legal exposure, although it denies Israeli accusations that it encourages militant attacks. It's unclear how long the cut will last. 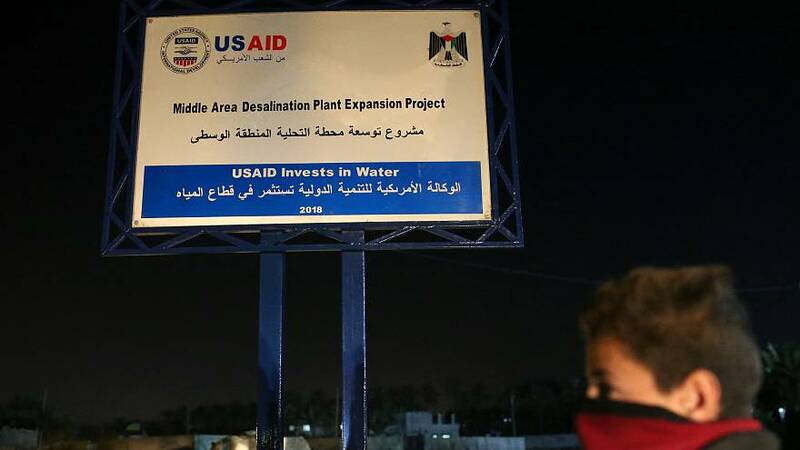 USAID missions in the Palestinian territories remain open and no decision had been made about future staffing at the USAID mission in the U.S. Embassy in Jerusalem. According to its website, the agency spent 234 million euros on public projects in the West Bank and Gaza as well as Palestinian private sector debt repayment in 2017, but there were significant cuts to all new funding through the end of June 2018. Nabil Abu Rudeineh, a spokesman for Palestinian President Mahmoud Abbas, said: "The suspension of aid to our people, which included critical sectors such as health and education, will have a negative impact on all, create a negative atmosphere, and increase instability." But President Donald Trump's Middle East envoy, Jason Greenblatt, called Rudeineh's statement disingenuous. "Palestinians are too smart to continue to live as victims and recipients of foreign aid. Until a political solution is found (maybe it will be our peace plan? ), the PA must focus on helping Palestinians lead better lives," he tweeted.